At the Da Vinci Institute we believe that sharing best practices helps us grow as educators. and in turn learn from them, helping us to impact more students. To request a customized workshop, conference, or other professional development please ﻿﻿click here. Join us for an overview of Project Based Learning at the different Da Vinci Schools. >> Participants will learn about the basics of PBL, as well as incorporating PBL into STEM programs, a variety of pathways, and the differences in PBL across the K-12 spectrum. Da Vinci leaders and teachers will share examples of their own projects, as well as the resources used to plan projects and professional development related to PBL. Learn more about how Da Vinci uses MBG to support student learning and engagement. >> Participants will gain insight into the benefits of MBG versus traditional grading methods and will leave with the foundational knowledge necessary to implement MBG into their own classrooms. DV teachers will share how they have used this grading system to increase academic rigor while ensuring that each student is mastering essential skills and knowledge at his or her individual pace. Find out more about how Da Vinci students demonstrate their learning in two different types of public venues. >> Student Exhibitions and Presentations of Learning (POLS) take place twice a year at Da Vinci Schools. The exhibitions are an exciting public showcase of student work and celebration of student projects and learning. POLs occur at the end of the semester and are a public forum for students to both showcase their learning from the semester as well as defend their understanding of key concepts in front of a panel of teachers. Participants will leave with the skills necessary to plan POLs and Exhibitions, and will be equipped to prepare students to be successful in these tasks. Join us for an overview of Da Vinci's industry partnerships and learn about the ways students and educators benefit from these collaborations. >> Da Vinci works closely with a variety of industry partners to foster real world learning, provide internships and experience in competitive job sectors, and prepare students to be successful in a college and career they're passionate about. Participants will learn how to effectively partner with their own community to create real world learning opportunities for their own students. Learn about the importance of Career Pathways in preparing students for both college and the workforce. >> Da Vinci offers several Career Pathways for students, including Engineering, Biomedical, STEAM, Architecture, Graphic Design, Computer Science, Strategic Communications, Journalism, and Music and Media Production. Da Vinci leaders will share how they have worked with teachers and industry partners to develop pathways that are aligned to workforce needs and student interests. Innovative and authentic collaborations with industry and higher education partners will be discussed. Hear about how our schools have created positive student cultures that support learning, growth, and success. >> From the beginning of the freshman year through graduation, creating and sustaining student cultures is a key component to our student and school success. 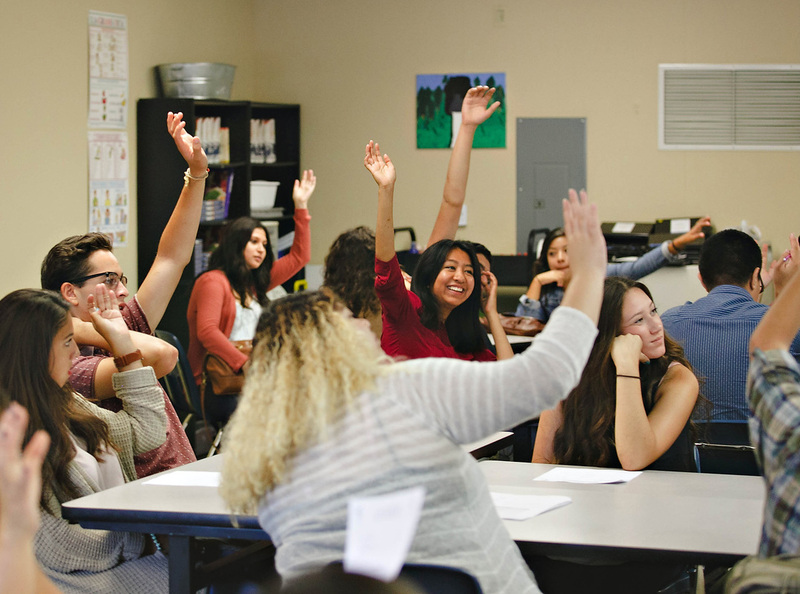 Find out how events like a freshman overnighter, our advisory curriculum, and school-wide focus on socio-emotional strategies like Grit and Growth Mindset have shaped our programs. Join us for an overview of the Da Vinci College Preparation Programs. 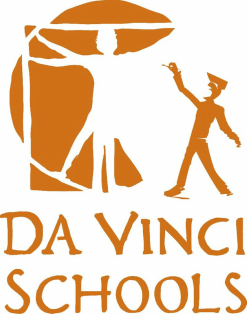 >> Da Vinci has built a robust program to support students and parents through the college admissions process. From small group parent and student meetings in the 9th grade all the way through a senior year that includes a dedicated class for college admissions support, Da Vinci utilizes both tried and true methods as well as innovative structures designed to meet the needs of our students and families as they prepare for and then are admitted to colleges.